← Using the -collate option in pdfprint. What is the difference between collated and uncollated? Screenshots as a service. Automate screenshots of any website. The best, most accurate HTML screenshot API. Display HTML as image anywhere in minutes. VeryPDF's screenshot API lets you quickly and easily add full page website screenshots to your site, app, blog or business process. The VeryPDF website screenshot service API renders web fonts and adobe flash content in all its glory, so you can be sure your screenshots are the most accurate and of the highest quality. We take pride in making our screenshot service API ultra fast, responsive and reliable at all times for all our users. VeryPDF Cloud HTML Screenshot API renders website screenshot thumbnails in various dimensions in just seconds. The best, most accurate screenshot API. Full web font support. Typefaces look how they were intended to look. Full page screenshots with added intelligence, we handle infinite scrolling pages, scroll hijacking, 100% height background images and loads more. Optionally screenshot a specific element on the page, instead of the whole page. You can use it to convert SVG to PNG amongst other things. Automatic triggering of lazy loading elements, so you get a complete screenshot, not a half-baked one. The ability to click on or hover over elements before taking a screenshot. Wait to ensure a specific element is loaded before taking a screenshot. Emulate different devices by setting a specific User-Agent string. Set cookies to get around cookie walls and authenticated pages. No limit on the amount of domains or IP's you can use from. No limit on the amount of cached requests. Linking is encouraged. Downloading of screenshots is welcomed. Super Fast CloudFlare CDN over SSL used for API and screenshot caching. Simple billing, you can cancel the subscription at anytime. YOUR_API_KEY should be replaced by your actual VeryPDF Cloud API key which you can get by registering for an account. It's easy to cancel, just login your PayPal account and cancel the subscription, then it's fine. Your account will remain active until your renewal date and after that you will no longer be charged. VeryPDF Cloud API Platform :: Web Page to PDF & Image Converter Cloud API :: Convert Web Page to PDF and Image files, Website Screenshot, Web Page snapshot, Capture full Web Page screenshots. 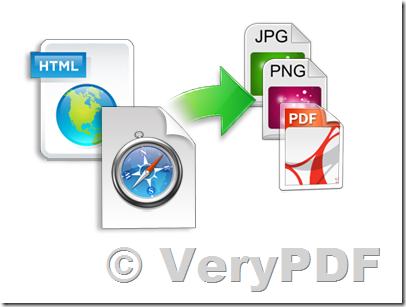 VeryPDF Web to PDF Converter Cloud API – Convert HTML to PDF and image with cloud server API. How to convert HTML invoice to PDF file using VeryPDF Cloud API? Populate HTML template with data from database and save to PDF file, Database Invoice to PDF Converter. How to use VeryPDF Cloud API from Wordpress? This entry was posted in VeryPDF Cloud API and tagged capture html, capture web, cloud API, html screenshot, screen capture, screenshot api, web capture, web screenshot, web thumbnail, web to image. Bookmark the permalink.